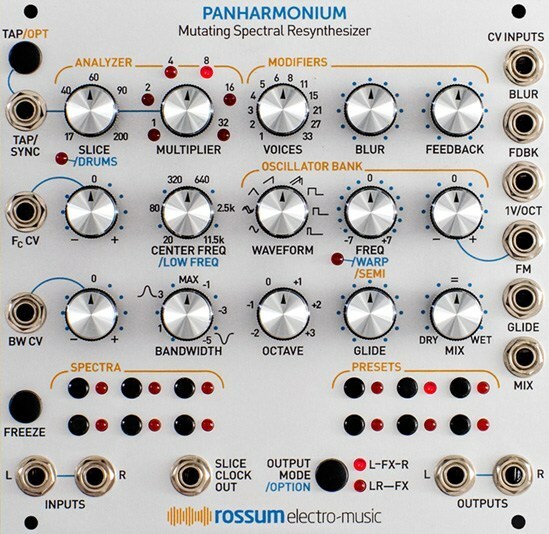 Rossum Electro-Music has today announced for SynthPlex 2019 the Panharmonium Mutating Spectral Resynthesizer Eurorack module. Panharmonium input can be anything from a single oscillator to an entire mix (including vocals). From dense, swirling pads and drones that evolve with the input’s changing spectrum, to clock-syncable spectral arpeggiation, to as-yet-unnamed harmonic effects, Panharmonium opens up an entirely new world of sonic possibilities. Spectral Modifiers controls allow you to creatively modify the analyzed spectra. Oscillator Bank resynthesizes the analyzed spectra: wavefrom, freq, octave, glie, mix. The Spectra memories let you store up to 12 frozen slices. 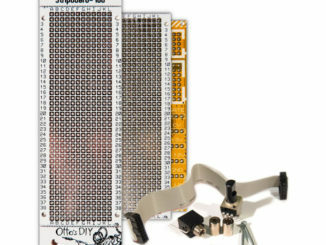 When selected, a spectrum (up to 33 oscillators wide!) replaces any live input and can have its pitch controlled by the 1V/Oct input and FM controls. A Preset is a snapshot of all of the module settings, along with the value of any CVs present at the moment the preset is saved. Rossum Electro Panharmonium will be available for $499 USD in late spring from Rossum Electro-Music dealers worldwide. 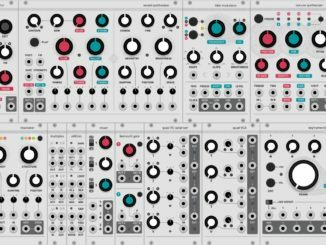 Mutable Instruments Tides (2018) Is Available Now For VCV Rack! 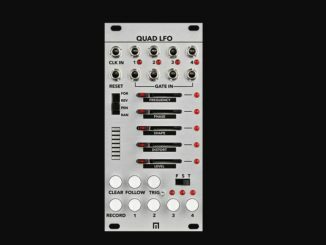 Quad LFO By Malekko Is A 4-Channel LFO Generator With A 16 Step-Sequencer & Now Available!